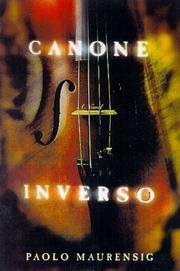 An alluring allegorical second novel, from the late-blooming Italian author of The Luneburg Variation (1997), employs three skillfully interconnected stories to tell a vivid cautionary tale about the nature of genius—and the varied powers of music—to console, ennoble, and destroy. An unnamed narrator fortuitously purchases a priceless violin he has long coveted—then is visited by a distraught writer who confesses his yearning to possess the instrument, then tells the narrator its “story.” He has learned it from Jeno Varga, an itinerant Hungarian musician whose own history encompasses a motherless youth and enduring emotional detente with his businessman stepfather, precocious virtuosity and an enlightening apprenticeship at “the most important music school in Europe” (the monastic, prison—like Collegium Musicum), and a transformative extended visit to the lavish castle owned by his friend and fellow violinist Kuno Blau’s Addams—like family. As Jeno’s disturbing intimacy with the Blaus simultaneously excites his imagination and challenges his dearest preconceptions, his (always unstable) intimacy with the mercurial Kuno begins its destructive canone inverso (in musical terms, a reversal, or descent). In McPhee’s admirable translation, this agreeably convoluted novel’s clever misdirections and urbane romanticism recall Isak Dinesen at her most appealing. Jeno’s artistic and personal crises climax in the years just before Hitler assumes power, and a dazzling climax and denouement unravel the manifold mysteries of the Blaus, reveal the (inevitable) identity of the narrator (long since absent from the storytelling), and ironically demonstrate the truth of Jeno’s rueful contention that “The true musician is a descendant of Cain.” An elegant Chinese-box entertainment (and incidentally a great improvement on Maurensig’s intriguing but flawed first novel), which will remind many readers of the intellectual thrillers of Spain’s Arturo PÇrez-Reverte, and leave them wondering why even more fiction of this kind isn—t being written these days.